If you need a Samsung mini dvd finalize disk service, then contact our friendly company. 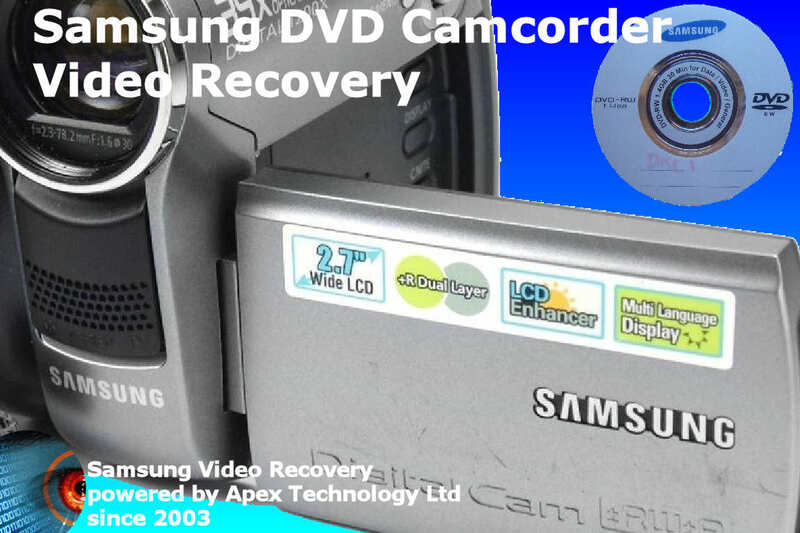 Samsung Camcorders video footage recovery may be required after attempts to finalise the disc. The camcorder displays screen messages "Power down" Recover data Yes No? Choosing for it to be recovered so you can see the video file on the camera produces a disc error on the lcd screen. When re-starting the camera the file is probably no longer available to view. However, time remaining on disc may show the disk as not being full.